Outside the office window at school stands a magnificent tree. Its trunk is thick and appears to be solidly rooted in the yard across the street on Pine Avenue. When I step outside to greet students in the morning, the children and I will occasionally hear a woodpecker searching for breakfast. Other times we hear the high pitched call of a hawk somewhere up high in the treetop. This tree is an observer, of sorts, to the bustling life at South Side. In the midst of this elementary life bustle, there are moments here and there that I find myself glancing out the window to enjoy the beauty of that tree. It is magnificent. In all seasons. This tree explodes in glorious color in the fall. Red, yellow, orange, maroon. It boasts with all manner of autumn delight. Right around this time of year, the leaves have faded and fallen. Barren branches stand starkly against the grey sky. A bird watchers delight! Now the children can easily spot that hungry woodpecker or hawk offering its hellos from the branches way up high. A glistening blanket of snow will soon cover each branch in delicate beauty. Hmmm…shall we not talk about the condition it’s in at the end of February? I think we’re all pining for spring at that point. Our tree included. But that energizing day in April when our temperatures soar above fifty! Oh! The joyous sound of children’s celebratory screams reverberate through the hallways bringing laughter and a smile to every teachers face. It’s now warm enough for our ‘no coat’ policy to be employed! And our tree is clear to begin bursting forth with the signs of new life once more. Why all of this about our tree? Because our tree marks so beautifully the changing of the seasons. There is God’s glory to be found and admired in every stage. Exquisite beauty for us to behold, enjoy and in it, to see the hand of our Maker. Seasons come and go. Leaves burst forth soon to fade away. This cycling of life is ever changing. But our God is ever faithful. HIs promises remain steadfast. Even as life, at times, feels as fickle as a leaf in the wind, our God is almighty. He is our rock and our foundation. You read news on Monday evening about a changing of leadership at Holland Christian Schools. At Dan Meester’s resignation, we too are facing a season of change. We have lived through changes in leadership at Holland Christian in the past and we will begin faithfully working and stepping through this season of change again. God has lead us in the past and God will faithfully lead us again. Many words of the Psalmist resonate around the days in the season of Thanksgiving. May I draw attention to Psalm 28:7 7 “The LORD is my strength and my shield; my heart trusts in him, and he helps me. My heart leaps for joy, and with my song I praise him.” My prayer for the Meester family, for every family in our Holland Christian community and for all who call this community their mission field, may our faithful Lord, who is our strength and our shield, accept our praise and thanksgiving as we lean upon him to continue guiding us in the mission to equip minds, nurture hearts to transform the world for Jesus Christ. A blessed time of Thanksgiving to each one of you. Last year Holland Christian brought in Protect Young Eyes to talk to students and parents about the amazing responsibility we have using technology. Parent feedback on the presentation was that it was very valuable. If you missed the presentation, or would like to attend again, Third CRC in Zeeland, along with Zeeland Christian School, is sponsoring another Protect Young Eyes program on Thursday, November 29 at 6:30 pm at Third CRC. The event is free and open to the community. 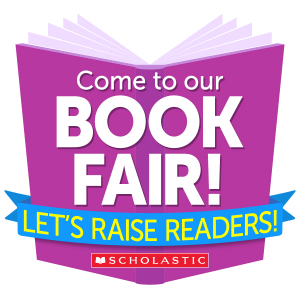 We are looking for volunteers to work at the Scholastics Book Fair at Pine Ridge Elementary the week of 11.27.2018 -11.30.2018. This is our Annual book sale to help earn credit for library books at both South Side and Pine Ridge Elementary. Nov. 27th Students and teachers will be able to fill out their wish lists, and bring those home to share. Nov. 28-30 will be open shopping time in the Library from 11:30am – 4pm Wed. – Friday, with extended shopping on Thursday until 7:30pm. This is a great opportunity to earn money for our school and check some shopping items off your Holiday shopping list ;)…To volunteer please click this link to Sign up Genius! Please contact Laura lnorman@hollandchristian.org for more information. **Online shopping will be open starting Nov. 24th. – Dec. 2nd for guaranteed shipment for Christmas, these points also count towards our Book Fair. Proceeds benefit both South Side and Pine Ridge Christian Elementary Schools. Make your Holiday Shopping Easy! * Teacher wish lists (teachers will have their wish lists available to view at the Book Fair. NOTE 🙂 Order by Dec. 2 for Guaranteed Christmas delivery! 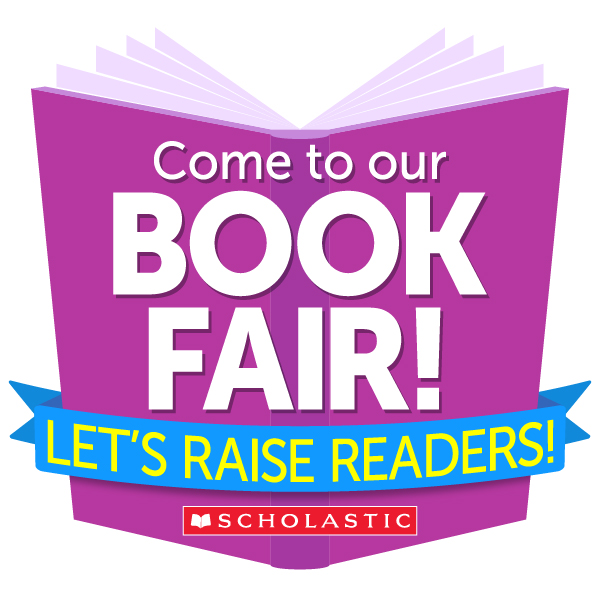 See you at the Book Fair! The link is now live so you can order on-line at https://www.hollandchristian.org/south-side-poinsettia-sale-2018/ , give it a try. This link will be open until November 25 so you will want to go on-line by then. Paper order form can still be handed in on Monday, November 26th. Note for larger orders the paper form may be a preferred option. The plants will make a beautiful addition to your holiday decor or a gift for someone. The High School Music Department invites you to its annual band, orchestra and choir Christmas concert on Saturday, December 15, in the Jack H. Miller Center for the Musical Arts, located on the campus of Hope College. We will be offering two performance times for those who would like to attend: one at 2:00 pm and one at 4:00 pm. Beginning Monday, November 19, a link will be posted on the Holland Christian homepage that will allow attendees to make a reservation for which concert they will attend. Those who do not have access to the internet will be able to make reservations through the high school front office. The number of reservations for each of the performances will be limited. In this way we hope to be able to offer a seat to everyone who would like to attend. We look forward to sharing in the celebration of our Savior’s birth through our music. As Christmas time approaches, we as a staff discuss how to keep our students’ eyes focused on Jesus. Especially in the area of giving, we hope to help your children enjoy the act of giving even more than receiving. Throughout the year with our SPARK service program, our students are supporting various community members and ministries through prayer, visits, collections, and making cards and pictures for members of our armed forces and their families. As there is no specific SPARK collection going on in December, watch for details coming soon about how we as an entire South Side school community will show our love for Jesus and his coming. All of these are so important to open young lives to the needs and opportunities to meet some of those needs as members of the Kingdom of God. With the overall focus on giving, the staff has thoughtfully considered how to celebrate the Christmas season for students in grades K-2nd. In response to the urging of parents, and with the careful consideration of the staff, we would like to again celebrate with each other in our classrooms in the following way: Instead of each student coming with enough little things (stickers, eraser, piece of candy, etc.) for each student in the class, we would ask that each boy come with one wrapped “boy” gift, and each girl come with one wrapped “girl” gift. These will be used as part of games and activities on the last day before vacation. Please limit the value of these gifts to $3 only. Even though you may be able to find a great deal on a higher priced item for only $3, it helps us avoid some difficulty if the value of each item is actually $3. Please see your child’s teacher if you have any questions. Thank you for helping us make the student gift exchange a fair, fun, and meaningful experience for everyone! Our 5-day kindergarteners, Forest School kindergarteners as well as first and second graders are invited to participate in swimming lessons at the Holland Aquatic Center. For a general introduction to the program, please click here. The following are the times scheduled at the pool for our students. You are welcome to visit the instructional pool to cheer on your child! Suits and towels are provided for our students by the Holland Aquatic Center. Goggles that cover children’s eyes are allowed. They have asked that full face masks be left for play at the beach. Parent permission forms went home today and should be returned to your child’s teacher on Monday , November 19th. Class lists along with the parent signatures need to be at the aquatic center before school resumes so the staff can properly place your child in the appropriate swim group. Dates – December 6th through December 19th. If you would like to order photo’s or yearbooks online, you can do so by going to www.geskusphoto.com/fallorders. Select our School Name in the main page, South Side Elementary #1819, and follow the instructions. Reminder: Yearbooks have to be ordered in advance, we will not have extra copies to sell in May 2019. Our School web code is 2429WZVNOKXINM. Thank you to those who have shared part of their day with us on the playground, it is appreciated to see some blanks filled in on the schedule. We could use a few more for recess assistance on the playground during the noon hour. The time commitment is 11:45 – 12:30. We need help on most Mondays and Wednesdays and some Thursdays. Please stop in the office for more details and see if you can put a few dates on your calendar. Your help would be appreciated. Ski Club is ready to launch its 2018-2019 season! Students grades 6-8 pay $24.00 ($7 goes to club expense); adults and sibling passes are available for $17. Bittersweet forms as well as dates, discount and bussing information are available in the office. Signed forms and check/cash needs to be in to the school office by November 20, for pre order tickets. Our Pine Ridge students have the opportunity to receive swimming lessons at the Holland Aquatic Center this year again. We have a long history of partnering together is this important endeavor. Living near so many lakes, it is prudent to help our young children with survival techniques and build confidence in the water. They have produced this video for parents and teachers to watch to help understand their goals and techniques. ( DeZwaan & VanWeelden ) is November 19-December 5. ( No class 11/21 – 11/23 ) ** Pool time from 12:45-1:20pm. ( Boer & Meyering) is November 19-December 5. ( No class 11/21 – 11/23) ** Pool time from 1:45-2:20pm. ( Hirdes/Riemersma ) is December 6 – 19. ** Pool time from 1:45-2:20pm. If you would like to order photo’s or yearbooks online, you can do so by going to www.geskusphoto.com/fallorders. Select our School Name in the main page, Pine Ridge Elementary #1819, and follow the instructions. Reminder: Yearbooks have to be ordered in advance, we will not have extra copies to sell in May 2019. Our School web code is 2427VNYJSTCGVJ. Creative kids, Holland Area Art Council is offering classes & Workshops for all ages! Please visit their website for more information! www.hollandarts.org or call 616-396-3278. Flyers are available in the school office.